Gone are the days of the stuffy, hot, ill-fitting, scratchy wigs that your grandmother wore. All of the wigs we sell are made using the latest technology that ensures the very best in comfort, fit, and style. Depending on your needs wigs can be machine made, hand tied, or a combination of both. They may also be made of synthetic or human hair. special occasions like weddings and proms. Your consultation will take place in one of our well lit, comfortable, private rooms. Our skilled technicians will gather information to help you make an informed choice. We will take into consideration your reason for wearing a wig, your facial shape and body type, and your ability to maintain your wig. We will also discuss options like, color, style, and synthetic or human hair. We will guide you through the process of filling out insurance forms and schedule you for delivery and customization of your wig. One of the most challenging aspects of wearing a wig can be maintenance. We want you to look and feel your very best at all times. We will be happy to teach you everything you need to know about maintaining your wig. If you are not able to maintain your wig our professional staff will service your wig for as long as you need. Drop off service is offered with all wigs and hairpieces purchased from Salon Rispoli. Salon Rispoli offers home care kits to help you maintain your wig. With the purchase of each kit, a Salon Rispoli professional will teach you how to wash and style your wig and keep it looking salon fresh. The staff at Salon Rispoli understands the challenges cancer patients have in dealing with hair loss due to Radiation Therapy and Chemotherapy treatments. We are here to assist you in making informed choices that will help you feel confident about your appearance at all times. 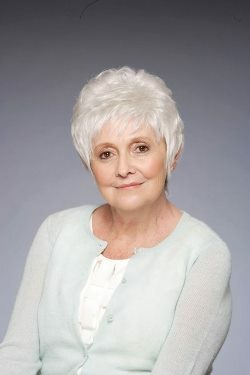 Synthetic Wigs are often recommended for hair loss due to radiation and chemotherapy treatments. Hand tied synthetic wigs are the lightest and most comfortable. Machine made wigs are heavier and of generally of a lesser quality. They are a great option for clients on a budget. 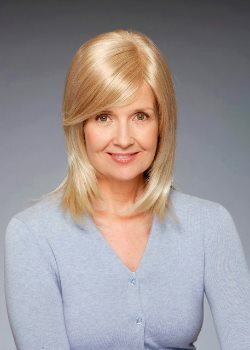 The most popular synthetic wigs have a combination of hand tied tops and machine made backs combined with lace fronts. The biggest benefit of a synthetic wig is the low maintenance. Synthetic hair maintains its shape until restyled by a professional even if you get caught in the rain. Human Hair Wigs look and feel more like your own hair. They may be curled and styled just like your own hair. Salon Rispoli recommends human hair wigs for clients who want the very best or who are expected to experience hair loss for more than a year. 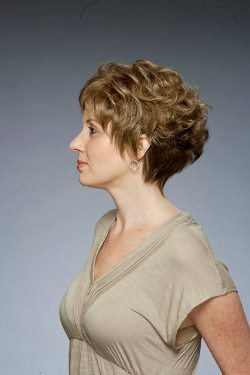 Human Hair wigs can be purchased in a semi or fully customized fit, length or texture. I am absolutely thrilled with my wig and the wig services I have received at Salon Rispoli. Mario was instrumental in helping me make the wig selection that was right for me. My wig is stylish, flattering and very comfortable. The Salon Rispoli staff keeps my wig looking great by regularly washing and styling it for me. I am very grateful to Mario and the staff at Salon Rispoli for helping me look and feel my best during my chemotherapy treatment. My experience with Mario & his team have truly exceeded my expectations. I am going through chemotherapy & I’ve never felt more beautiful than now. My new hair & self-esteem have rocketed me to an all-time high. I have been going to salon Rispoli for 4 years. I had brain cancer in 2008 and lost all if my long curly hair. Mario has helped me get wigs that look fabulous! I was worried at first that wigs would look unnatural or feel uncomfortable. However, I was completely wrong. Mario showed me many tricks to make my wigs and hair pieces look natural and not bother my head. I love every hair piece he gets me!! Mario and his team also style them perfectly! I just love all that he and his staff have done for me! I would recommend anyone who has lost their hair to go see Mario for a hair piece or wig! He does amazing work and will make you feel great!! Having had Alopecia Areata for ten years I had no idea what to expect walking into a salon and trying a wig on. I assumed the wigs would make me feel uncomfortable or that being in a hair salon would feel unnatural. Mario and his staff made me feel comfortable from the moment I walked into Salon Rispoli. The private consultation room put me at-ease and gave me the freedom to enjoy the process without reservation. Mario asked all the right questions, which helped both of us better understand what I was looking for in hair replacement. I always knew his first priority was to help me feel confident, comfortable and beautiful. I put my trust in him to style my hair for the two most important days of my life- the Miss America 2011 Pageant live on ABC, and later, my wedding day. And he continues to go above and beyond!